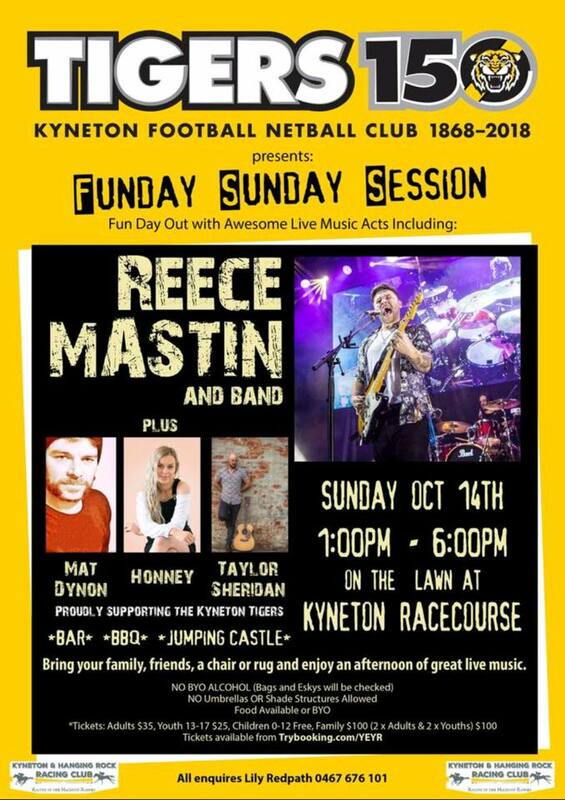 Kyneton Football Netball Club Presents Funday Sunday Session! Fun day out with awesome live music acts including Reece Mastin, Taylor Sheridan, Mat Dynon and Honney! 1pm-6pm on the lawn at the Kyneton Racecourse. Bar, BBQ and Jumping Castle. Bring your family and friends, picnic rug, chairs and picnic hampers. Umbrellas, shade structures and byo alcohol are not allowed. Buy now and save – tickets $5 extra pp at the gate.